This Photo Friday of me and my grandson, Cole, reminds me that sometimes ya’ just gotta take a break. 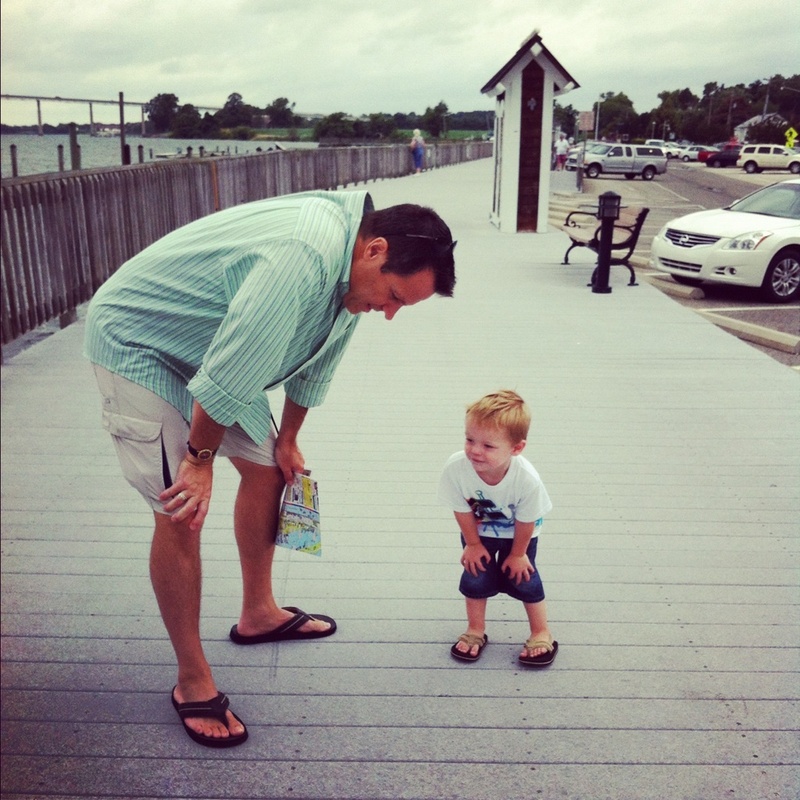 I ran along this boardwalk holding Cole’s hand, and he, hands waving in the air, laughed and squealed with delight. BTW — at what age does the simple act of running stop being so much fun? Cole joined me for a break when Papa “needed” to catch his breath, and my wonderful daughter-in-law, Ellie, daughter, Haley, (sorry Haley!) snapped this photo with her iPhone. Priceless. Lessons learned: Get some exercise. Have fun with family. Take a break.